If there’s a group of you and you’d like to book the boat for the day then please contact us for details and we can book that for you. 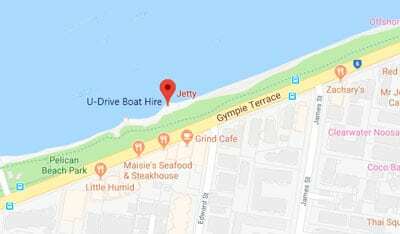 Boat departs from ‘U-Drive Boat Hire’, 256 Gympie Tce, Noosaville. We have over 20 years of experience deep sea fishing in the Noosa area, and we’re ready to help you have a great, exciting day at sea. Fishing is simultaneously exciting and relaxing. 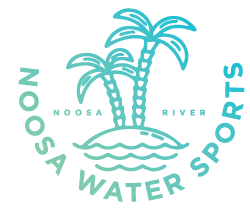 It’s a great way to spend the day, but it can be tricky to get a great fishing experience if you don’t know the best fishing spots or have your own boat or fishing supplies. We offer three fishing trips to suit your tastes. We have half-day (5 hours), 3/4-day (7 hours) and full-day (9 hours) trips. We provide everything you’ll need for a full day at sea: rods, tackle, bait and food. All you need to bring is your hat and sunnies! Our boat, Wild Thing 2, is a powerful cruiser that’s been custom built for offshore fishing charters. She’s 11.6 metres long and can seat 12 people—the most comfortable and spacious offshore boat in the area. With twin Yamaha motors, our sleek catamaran will keep you comfortable and safe when you’re out with Noosa Charters. She’s built for comfort and speed, so you don’t have to waste any time getting to prime fishing locations. For a great day at sea, book with Noosa Charters today!